Hi lovelies! I am back again with another budget beauty post for you. Remember a few weeks ago I told you guys about a discount lipstick company called KleanColor? I found their Metallic Lip Gloss from their Madly Mattes collection. The set I purchases is pretty darn gorgeous and cheap! Easter Weekend Only! All single Lip Whips $15 each! How Do the Madly Matte Metallic Lip Glosses Perform? These metallic glosses are matte They have a similar feel and staying power to the Wet-n-Wild Megalast Liquid Lipsticks. The formula hugs the lips, dries fast, and has minimal transfer even with rubbing lips. They layer well except for one lip gloss. The 1650/Coral shade flakes or crumbles when you try to apply a second layer. I suggest making one lay do for you with this shade. Also, that same shade is tougher to remove. You will need to oil and wash your lips to remove all the color. I like KleanColor's Metallic Lip Glosses better than the matte tube lipsticks as far as the term matte is concerned. I do find that these lip glosses are comparable to drugstore and private retail liquid lipsticks like Colourpop. With the Gold costing me only $5.99, this means each gloss costs under $1.00. 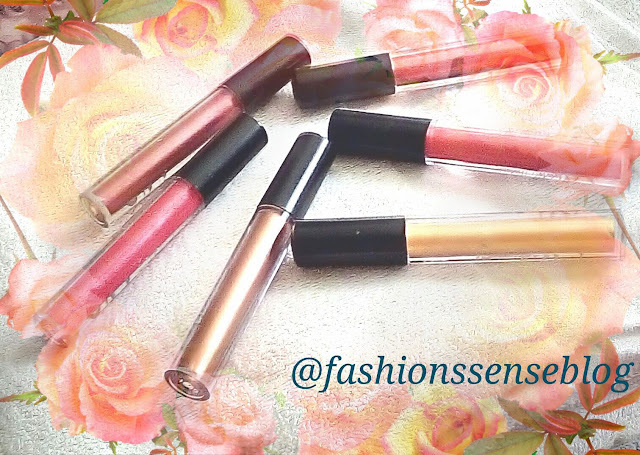 If the gold set is not to your liking there are other color sets available for the metallic lip glosses. The prices range from $5.99 to about $8.00 for sets of six glosses.